Call it Rabinstock or Rabinpallooza. It's the annual anniversary of Yitzchak Rabin's death transformed into a tawdry spirit rally for the even more tawdry remnants of Israel's left. The assassination of the former Israeli PM has become the "Camelot" of the left with Rabin as an unlikely JFK. American liberals nourished themselves on the fantasy that race relations would have been solved and Vietnam would have been avoided if only their golden boy hadn't been shot in Dallas. It was more soothing than dealing with the reality that all the problems they cynically associated with Nixon would have happened even if Lee Harvey Oswald had stayed in Minsk. The Israeli left has has always been behind the times. They had to wait until the Lebanon War for their Vietnam War and they are only now learning to embrace the post and multi everything order. And so they had to wait until the 90s for their own Camelot, their incarnation of the golden age that might have been if only Rabin hadn't died. Golden ages don't depend on one man. If liberalism had led to a better America, it would have worked just as well when LBJ and Nixon implemented even more radical versions of JFK's policies. 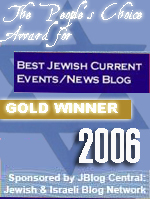 If the peace process had worked, it would have worked under Peres and Barak and Olmert. It never did. American liberals in perpetual mourning for Camelot are forced to ascribe everything to charisma. Israeli leftists don't even have that comfort. Rabin was hardly a charismatic figure. Unlike American liberals, whose attempts to blame JFK's assassination by a fanatical leftist who had defected to the USSR and attempted to defect to Cuba created a growth industry in convoluted conspiracy theories; their Israeli counterparts take refuge in reducing everything to a blame game for the right. If only it wasn't for Netanyahu. And the settlers. And the religious right. The monotonous litany has taken on the force of a secular prayer. These are the people who stole the peace, destroyed the democracy and doomed their grandchildren to a life of briefly pretending to be gay or mentally ill to avoid army service. That is if they don't hook up with a European NGO and declare that they are dissidents and refusniks who refuse to oppress the peaceful people of Hamas. Their fantasy in which the course of history was changed by the sloppy attempts of Israeli security services to fight "right wing extremism" is every bit as paper thin as the walls of Camelot. The religious right and the settlers have never wielded any political influence worth writing home about. A single bottle blonde on Israeli television harshly denouncing threats to democracy or a single leftist justice on the Supreme Court always outweigh 150,000 protesters in Jerusalem. Netanyahu, gifted with a golden tongue and a spine made of an even softer metal, didn't disavow the peace process. If there was ever a lost Camelot in Israel, it took place when the election handed a stinging defeat to Peres and gave Netanyahu a mandate to roll back the madness of the peace process. Instead he made it into the bipartisan legacy that has wrecked Israel's foreign policy. That hasn't stopped the Israeli left from indulging in its fanatical hatred of Netanyahu. Nixon's embrace of much of the liberal agenda made him even more hated than if he had stuck to his guns. Netanyahu's handshakes with Abbas only send the left into futile shrieking fits of fury. Nixon and LBJ took away the fantasy of Camelot by showing what the reality led to. Netanyahu's willingness to perpetuate the peace process likewise robs the left of its fondest fantasy of what might have been. At Rabinstock, where old red-shirted lefties reunite with their cafe comrades and gaze admiringly at the youth advocating a One State Solution, Rabin's grandson Yonatan Ben Artzi, not to be confused with Netanyahu's equally leftist nephew Yonatan Ben Artzi, commanded Netanyahu to bring peace. “My grandfather was murdered over peace, and you owe us all peace. You have a unique opportunity to take advantage of the world situation for peace. It won’t be easy or popular. But it’s your time to close a circle and bring us peace,” Yonatan Ben Artzi declared. Apparently Netanyahu has been keeping peace in his pocket all along and Yonatan Ben Artzi wants him to take it out and put it on the table. It might be tempting to think that entitled rhetoric like that is unrepresentative of the Israeli left, but it's entirely representative of a movement that treats anything it wants as a demand that must be immediately fulfilled and whose fulfillment is never delayed by any real world factors. Whether it's social equality or peace, the idiotic chant of the marching morons is the same. "Give it to us. Now. You owe it to us." 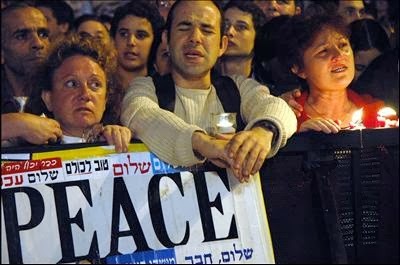 Ever since the beginning of Rabinstock, the Israeli left began speaking in a vocabulary in which every third word seemed to be "Peace." You could talk to an Israeli leftist for an hour and every other word would be Peace. This peace, like Ben Artzi's peace, existed in a world as entirely detached from the problems of supply and demand, as the economics of the Soviet Union. Every leftist goes into an argument assuming an infinite demand and supply of peace bottlenecked by some of the usual villains. It's 'useless to echo Psalm 120, "I am all peace; but when I speak, they are for war" or the Prophet Jeremiah, "Every one dealeth falsely. They have healed the hurt of My people lightly, saying: 'Peace, peace', when there is no peace." The pivot of the magical thinking of the left is that there is an infinite supply of wealth and peace. If they were ever forced to concede otherwise, the entire ivory tower of cards that is their moral high ground would collapse under them. Hamas' victories and decades of terror have made no impact on their fanaticism. Their Rabinstocks are a time to remember that peace comes from idealism and the demands of the youth for peace. The youth of the Dor Shalem Doresh Shalom generation have given birth to their own youth already and are showing gray hairs. A generation has come of age in the perpetual war of the peace process. Rabinstock participants brandish signs warning of a struggle for democracy as if it were still the 90s. After all the elections, Israel is apparently still struggling for democracy because a rogue product of a Shabak agent provocateur shot the man who was meant to politically benefit from the provocateuring. But to the Israeli left, democracy is synonymous with the state and their agenda, not the popular will. The struggle for democracy is the struggle for democratic socialism, not the will of the people. And it's a struggle that the left began losing in the 70s after Rabin's original government was brought down by political scandals and economic mismanagement. Rabin's return to power in the 90s happened because of pressure from the original Bush administration and brought with it the desperate gamble of the peace process to lock in a new legacy for the left. That legacy has become a bloodstain. Countless Yitzchaks have been murdered since then by the terrorists that Rabin and Peres allowed into Israel, armed and turned over territory to. Shortly before the latest Rabinstock, Peres was forced to issue a statement promising that no one would rest until the murderers of the latest Israeli terror casualty were brought to justice. Considering how many murders there have been and how many of the murderers have been set free, it's a hollow promise. But Rabinstock participants don't live in the real world. Their ivory tower of moral superiority is as fantastic as Camelot. It is a place where songs about peace matter more than the latest terror victim and where the world could be a better place if only all the realists went away or were locked up. The Israeli left, like every left, is addicted to the smell of its own moral superiority, the mixture of sweat, stale cologne and ink, that wafts unpleasantly into the air from every rally. It isn't interested in reality. At some point it stopped being interested in power. It retreated into its own fantasy, leaving behind its working class union allies, and dropped out, tuned in and let the red freak flag fly. With the help of some of Clinton's old consultants, it managed to reemerge briefly as a social protest, abandoning its delusional peace dreams for rhetoric about prices and tycoons. The left's ridiculous monopolies and unions have plenty to do with both, but it struck a populist tone and revived the Labor Party as more than a punchline. But the left can't let go of its Rabinstock Camelot. Even if the left could wake up, the Rabin obsession has been wired into too many teachers and media personalities, too many entertainers and bureaucrats, to let go of it. The Rabin obsession allows the left to explain to itself why it hasn't done anything worth noting in decades. It allows it to retreat into the fantasy world of what might have been, instead of relevantly addressing anything that is. The Israeli left is still incapable of an adult conversation. Its idea of a rational statement is to demand impossible things and back up that demand with a resort to the indomitable power of idealism. But the Israeli left isn't idealistic. It never was. It was at times cynical, ruthless, petty and effective. Its key figures like Ben Gurion or Golda Meir were not dreamers and never resorted to empty dreams. Israel wasn't built by dreamers, no matter how often that Herzl quote is invoked, it was built by hard work and difficult choices. It was built through sacrifice, not of others, but of self. Rabinstock is the opposite of that sensibility. It says that nothing has to be worked for. That solutions come from suppressing the opposition and then letting your enemies walk all over you. It's not a plan that would have won the approval of Ben Gurion, Golda Meir or Yitzchak Rabin; who for all their flaws were hard-headed and ruthless people. The Israeli left has become Peresian, big on talk and short on action, given to taking refuge in ridiculous flights of fancy instead of dealing with reality. 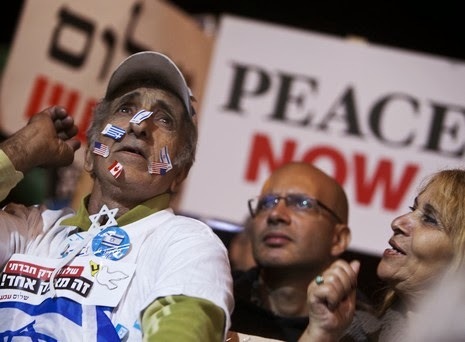 The Rabin Delusion has made the Israeli left irrelevant. "...even if Lee Harvey Oswald had stayed in Minsk." You can't really believe Oswald alone assassinated JFK. Magic bullet and all. Witnesses that pointed to the grassy knoll. It's not central to your piece, but Oswald was the patsy he said he was. IMHO. The illusions of the left are inpenetrable. There is an infinite number of straws to clutch. The straw machine is manufacturing new straws daily. You can't precision shoot an aged bolt-action rifle thrice within 6 sec. and the JFK team of extremely smart (liberal but not yet leftwing) cookies might have taken different actions in Vietnam.....(in a parallel universe). Shamir, Rabin and Netanyahu where pressured by the, always anti Israel, American State Department into doing things they rationally (also Rabin) abhorred. A great deal of things that can't be done have been done. The list of things that couldn't be done in the killing of Rasputin beggars the far smaller list of things that couldn't be done in the killing of JFK. Maybe the American Left is right about one thing; perhaps Israel and America are too close as it seems the American plague of Progressive Socialism is contagious. Some thought 9/11 would wake the left up to reality. But as Israel displays the case study, a million 9/11's won't allow reality to sink in through the thick Progressives skull. As you showed a while back,Liberalism is a cult, these people and their beliefs just defy logic. 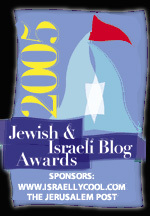 Thanks for the insight into Israeli political history. Yes, Rasputin died hard. However, mr bradley, who knows quite a lot about guns and shooting, has made exactly the same point mindRider does about the rifle. The most interesting explanation I've ever read is Gore Vidal's is the final chapter of his memoir, Palimpsest. He maintains Jack was killed by criminal syndicates to stop Bobby's further prosecution of their activities, along the lines of "to kill a dog you go for its head not its tail." Some people think the Kennedys also had something to do with Monroe's death, for some of the same reasons. It also occurs to me, that while having such a spectacular murder happen right in front of you, a television age death for a telegenic president, that yet goes unsolved, verges on the surreal; maybe the enduring power of the scandal is also a circumspect way of correcting the golden boy myth of JFK. Is Social Progressivism an American Plague? It certainly is a psychosis that leaves people brainwashed, arrogant and with about a half-a-second attention span. But, speaking of Massachusetts, it's hard to think what the Puritans were otherwise. Except that they still possessed the work ethic. Then again, perhaps that is the most amazing thing about the left, that it demonstrates so much industry and cunning on behalf of doing the wrong things. It really is bad religion. Gore Vidal also claimed that Bush was involved in the 9/11 attacks and that FDR had advance knowledge of Pearl Harbor. His conspiracy theories extended all the way back to George Washington. 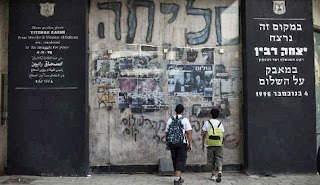 "The Israeli left, like every left, is addicted to the smell of its own moral superiority,.."
Children are taught to be nice, so they can feel good about themselves. If they aren't taught that the World is full of violence and people who aren't "nice", they continue to act like children. I don't know what can be done about it. Somehow, they have to learn about reality, but they love to feel good and superior, and hate the reality of mere mortals. Even a generation after Auschwitz, they resort to their parents instinct to ignore the wolf at the door, ever hoping for "peace". That weakness attracts all weak people to the Left. The lives of these "peaceniks" must be very miserable to so badly wish to commit suicide. It meant he enjoyed finding conspiracies because it made him seem clever. He was certainly literate and had links to an older America, but not in a particularly good way. I found this piece to be very insightful and thoughtful. I enjoyed reading it. As a hard-boiled right-winger, I wish there was some way to counter the damage that the Israeli left did, and continues to do, to life in Israel and Jews in the Diaspora. It's too bad that this insightful, thoughtful article couldn't offer some way to counter the extreme harm that the Israeli left has caused, and continues to cause, to life both in Israel and in the Diaspora. 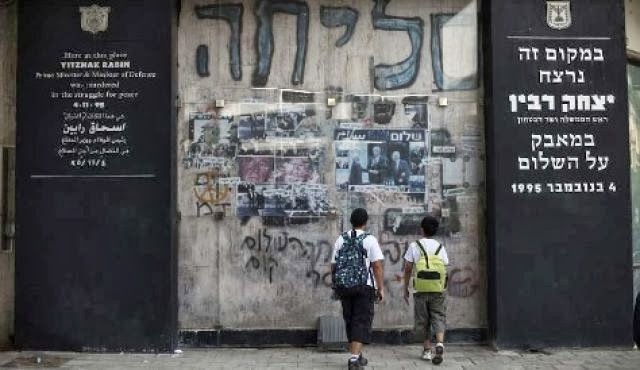 It did do an excellent job of describing the growth and changes in the Israeli left which once included such strong leaders as David Ben Gurion and Golda Meir. I enjoyed reading this article very much. That's a pretty superficial reading. His is not an uncomplicated legacy, just as history is not so straightforward as we might like it to be. Gore Vidal's inquiry into his personal motivations for prosecuting the Civil War, for example, certainly better approximate who Lincoln was as a human being than the usual plaster saint renderings of the man. He considered himself a Conservative, and not without merit. The old America First kind that didn't want a behemoth of a government or a permanent standing army or a national security council, and lamented the fact the US took over the old imperial role from Britain. He wanted the old republic back. He thought Americans were ill-suited for empire; that we couldn't afford it, and that neither was it good for us nor were we good at it. He lamented the fact, for sheer want of numbers his generation in having sustained the losses in the Wars, did not have more of an impact on the political landscape. I think about that having wider application to the social and cultural landscape as well. Of his latest publications, I think his "Inventing a Nation: Washington, Adams, Jefferson" (2003) speaks eloquently of his feelings of his country. Yes Dafna Yee! Socialist heroes like David Ben Gurion who brought the no nonsense episode of Altalena affair. Golda Meir also great hero of socialist movement in Israel. Where they are now? Adele said:"Vidal's inquiry into his personal motivations for prosecuting the Civil War, for example, certainly better approximate who Lincoln was as a human being than the usual plaster saint renderings of the man"
How do you know? You ever meet Mr. Lincoln in person? The only people competent to talk about the intimate side of a person are bosom buddies. Biography and some history is fraught with opinion and people believe it if it suits their own fondly held ideas. Door-Door, Gore Vidal never wrote a biography of Lincoln. "There was all sorts of rubbish talked about the death of Rasputin, you know. That they had to kill him three or four times before he was actually dead. That they poisoned him, shot him, beat him to death, and then drowned him. In fact, they made it all up to make their futile deed seem more heroic. And the prince [Yusupov] didn't even do the deed himself. The truth was that Rasputin was shot through the forehead by a member of the British Secret Service [another Oswald]. Now, I mention all this to make the point that a man, even a strong man like Rasputin, or you perhaps, can survive almost anything except being killed."